The 12th of November, 2018 marked the day that we lost the man that made an undefinable impact on the world of comics – the legendary, Stan Lee. And, if we think of the universe this man has created, this means the end of a whole era. Author: Katerina Malik and Aleksey Zakharenkov. A dreamer, a visionary, the one that always remained a kid at his heart, and in a good way (his numerous cameos in movies based on his own written scripts and produced by Stan Lee himself are the best manifestation of the fact). He was the greatest influence on people he worked with, however, he will always be even in hearts of those who have never met him, the ones that knew him only through his works. 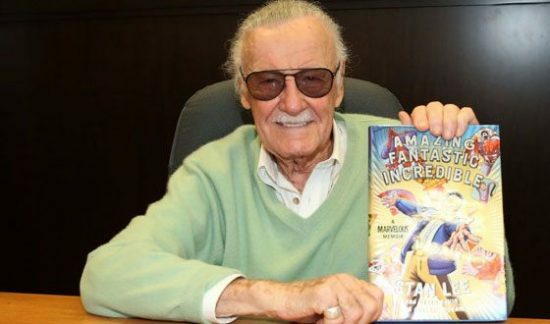 Stan Lee’s works of art inspired and grasped the hearts of generations. One of those, “Marveled” by the great universe of Mr. Lee was Marshall Bruce Mathers III, another visionary, yet in another universe, better known to the whole world as rap artist, Eminem. Eminem’s love of comics is a topic discussed by many, it has been covered in interviews and articles throughout his career. In this story, I will try to tell the tale of how Stan “The Man” Lee influenced the life of Marshall “Rap God” Mathers. 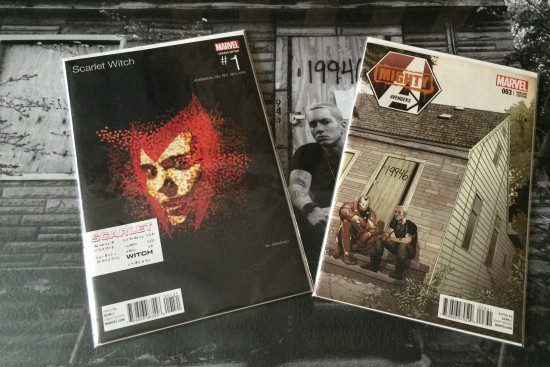 When you hear about Eminem’s “addiction” to comics, first thing that comes to mind is the “Eminem/Punisher: Kill You” feature or the special issue of “The Mighty Avengers” with Eminem sitting beside Iron Man on the porch of Marshall’s childhood home. But that’s just the tip of the iceberg. Comics and the superhero universe played a big role throughout the artist’s life. From his teens, when a premature Marshall was trying to run away from the dim lights of an abusive family to the moment when his life became a piece of art itself, the comic books continued to influence his thought process becoming the source and integral part of jagged-edged hip-hop lyrics. Eminem himself claims he always loved comics, especially vintage ones, and that he is quite knowledgeable in the topic. I’ve always been into comic books. 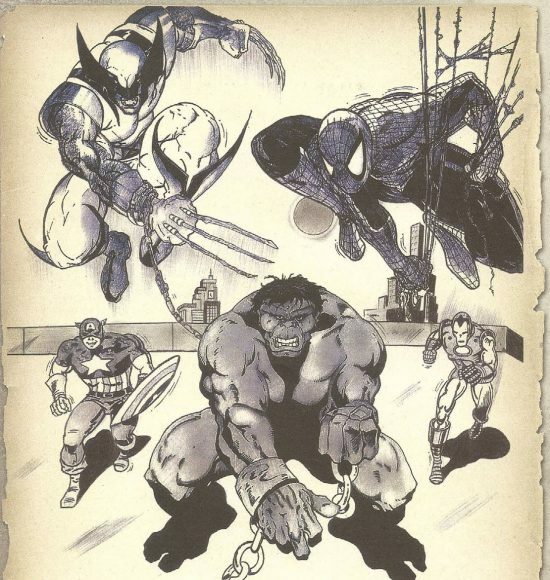 Spiderman, Hulk, old Batmans, Supermans — mostly vintage Marvel s**t from before I was born. Just being able to have those pieces of history is crazy. I would not want to face off with somebody comparing comic book knowledge, but I know a pretty good amount. Eminem’s collection of comics is also a controversial topic. Senior Director of A&R for Shady Records, Riggs Morales, called Eminem’s collection “Otherworldly”. According to him, Marshall has items that aren’t even on display at the stores. Morales said that the rarest comic he’s seen was Eminem’s’ “Amazing Fantasy” #15, where Peter Parker and Spider-Man make their first appearance. The price for such a piece can range up to millions of dollars, depending on the condition it’s in. Unfortunately that is the only credible source of information about Eminem’s collection. Let’s hope that someday the artist decides to share it with the world or at least to speak more of it in an interview. In his latest collaboration with Marvel, the soundtrack for the “Venom” motion picture, Eminem digs deeper and goes a bit fur-ther than his regular comic book references. In the track that shares the same title, Eminem uses his music and the way he influences people with it as a metaphor for the symbiotic organism featured both in the movie and the comics. He showed us that he’s also the baddest Venom fan in the process (Read in detail). Eminem also chose the song to perform atop the Empire State. Building, the symbiote became one of the main themes in the two videos shot for his latest unexpected studio album. 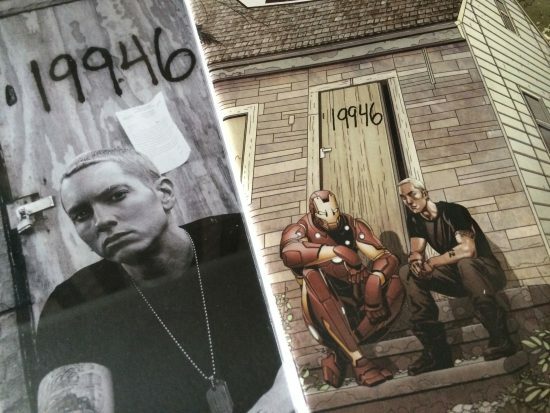 Eminem’s whole artistic journey is intertwined with the creations of Stan Lee and other comic book writers. His love for “The Man” is evident and you can see that through his works. Stan Lee was not just an entertainer, he strived to make the world a better place, just as Marshall did with his lyrics. Stan’s message in X-Men was, in his own words, that being different is not a disadvantage, it is what makes you stronger, what makes you stand out. This concept is the platform for Eminem’s great legacy up until his latest work, you can see it as distinctly as a red stroke of paint on a blank canvas. Such different minds, yet both of them used their talent to brake boundaries and show this world, full of hatred and envy, that every one of us is unique and everyone deserves a shot, an opportunity to prove themselves. November 12th, 2018, the day the world lost one of the greatest superheroes in the fight against evil. However, his legacy will live forever in hearts of many, and through the ink of an angry blond turned global icon and hip-hop legend.